Holy smokes does Rolling Big Power know what they are doing when it comes to wicked mesh grilles. 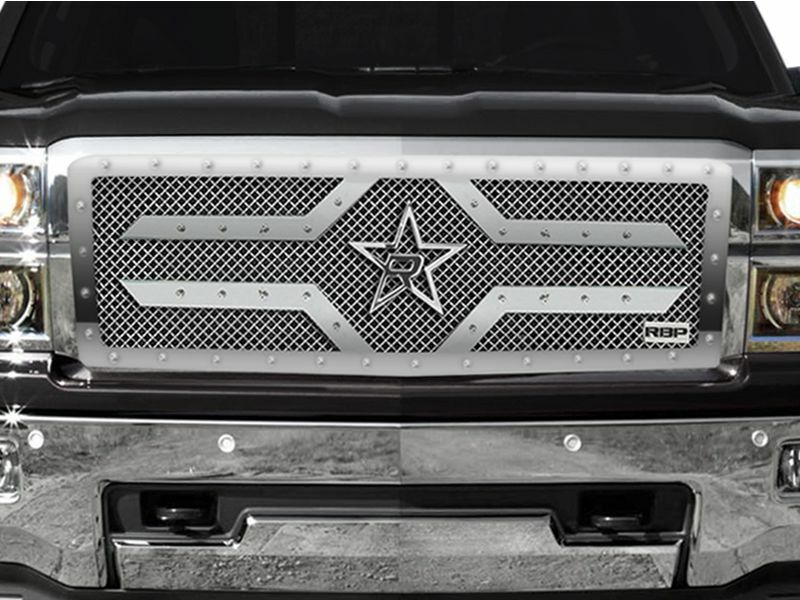 Check out the RBP RX2-Series grilles that have a completely unique design that is sure to make your truck or SUV stand out. Normal billet grilles don't have much to offer your ride, lacking in both protection and style. Once you install an RBP RX2 grille on your vehicle, you instantly get both! Get a totally finished look with these bad boys. Constructed from T-304 stainless/carbon steel in either a chrome or black powder-coat finish, each grille is given that added attention to making them perfect. Install one of the RBP RX2-Series grilles via complete replacement or as an insert. No cutting or drilling is required with a complete replacement, where some cutting is required with an insert. Adding a stylish grille to your whip is a great way to be a player with little to no effort. Don't drive a lame-sauce-mobile any longer. Get an RBP RX2 grille today! Rolling Big Power RX2-Series grilles are backed by a limited lifetime structural warranty with a 1 year warranty on the finish. If you are less than satisfied, please give our friendly customer service a call at 877-216-5446. RBP RX2 grilles are either a complete replacement or insert. There is no cutting or drilling required with a complete replacement, but there would be cutting with an insert. If you have any issues with the installation process, please give us a call at 877-216-5446.